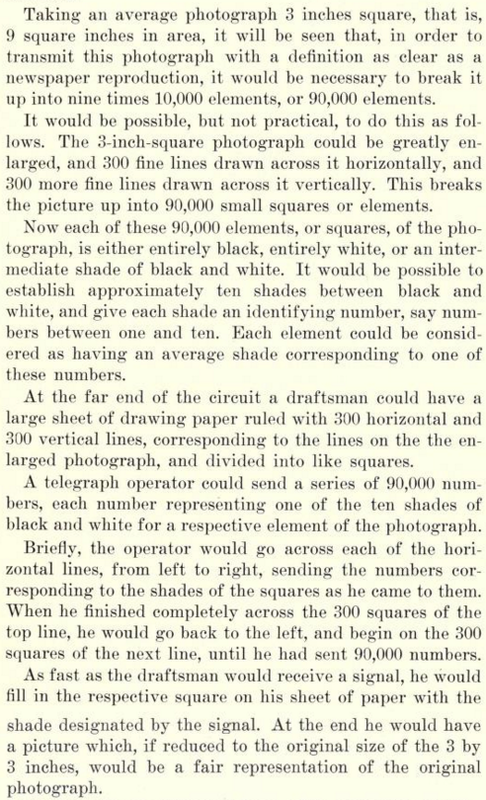 While Eckhardt describes this method of transmitting an image impractical in order to demonstrate the superiority of television transmission, it is fascinating to read how he effectively breaks up the original image into ‘picture elements’ (pixels as we’d call them today) and codes them before the information is sent via telegraph to a draftsman who would recreate the data received into a painting of the original photograph. 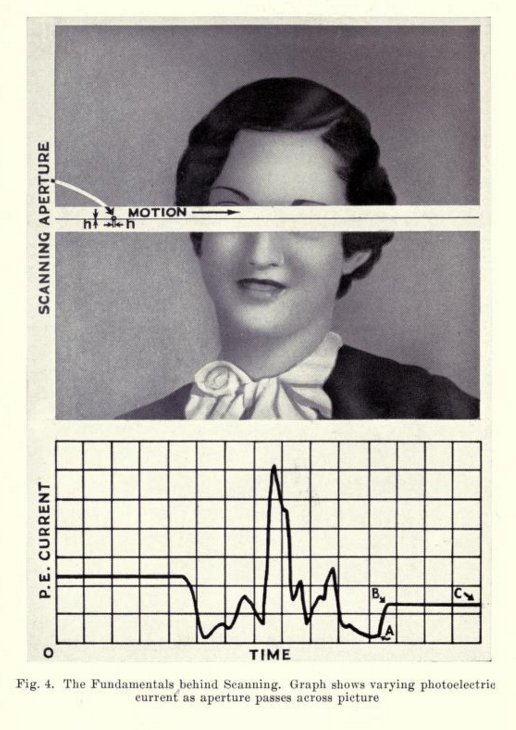 Extract from ‘Electronic Television’ by George H. Eckhardt, pages 49-50. George H. Eckhardt goes on to say that while the 3 x 3 square format photograph is not always “pleasing to the eye” (a fact perhaps disagreed with by 300 million plus Instagram users), “The 3 x 4 ratio will probably become standard in television.” As indeed it did for both TV and digital photography throughout the 20th century (DSLR’s being the exception as they were based on the 35mm film ratio of 3:2). A practical book for everyone. 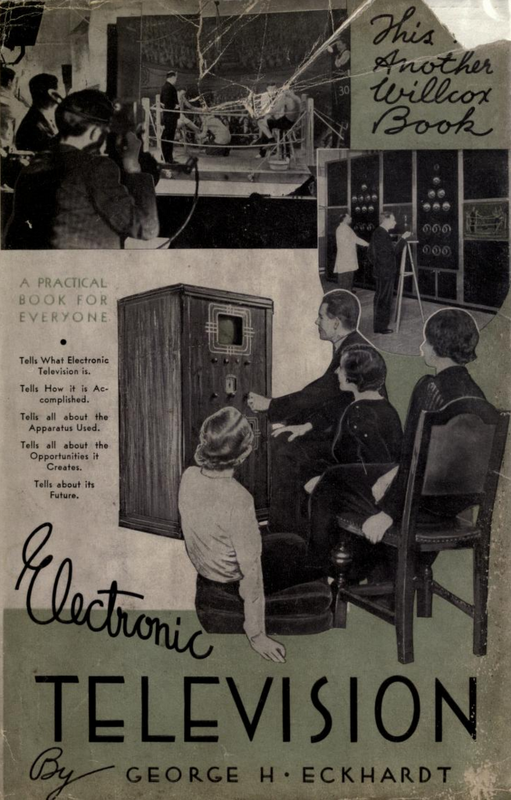 ‘Electronic Television‘ contains some real insights of what was thought possible in 1936 when many technologies common today were just emerging. 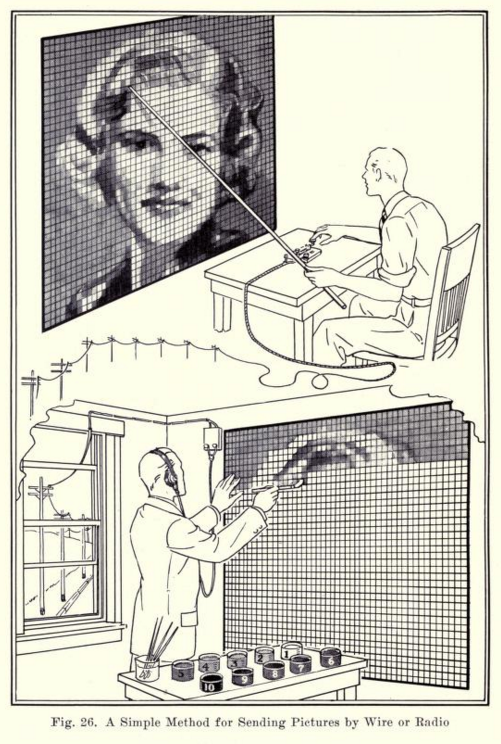 Eckhardt examines how a potentially upgraded telephone system could be used to transmit High Definition TV alongside telephone conversations (though he says not both at once), the development of infra-red cameras “for fog penetration” and how the invention of electron microscopes could prove invaluable to medical science. We’d love to give Eckhardt’s method a go to see what results we’d get, if you decide to try it too please let us know and we’ll post the images here on PhoGoTraphy. Previous Article Photographer René Smets Builds a Fully Functioning Camera Lens out of Wood.